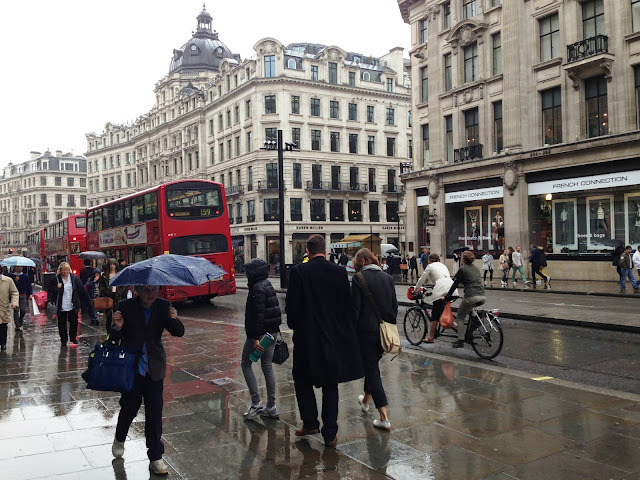 I am actually here, treading the stones of Regent Street which curves gracefully down from Oxford Circus, its domes and handsome facades washed by light rain this morning and people hurrying by with umbrellas or jumping on red double-decker buses. 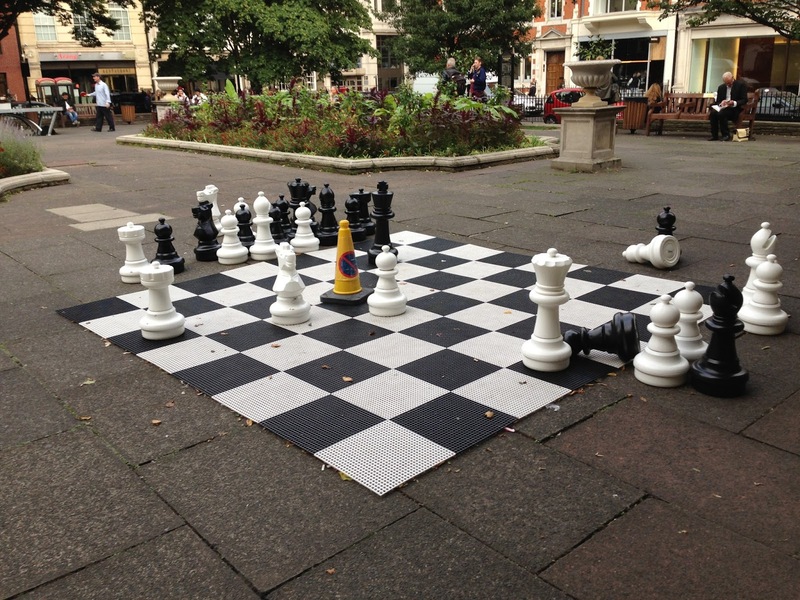 This is London of the imagination! 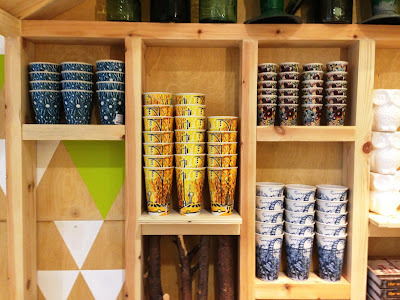 I spent the day yesterday unpacking and hanging the cups, assisted by Anna and Heather, two delightful young women who work at Anthropologie. Before we knew it, 365 cups appeared to be free floating in the window space and crowds were already gathering outside to take photos. Tomorrow, the Design Festival begins and I will take up residence in the window to draw for five days. See the schedule below. I was relieved to see that the porcelain cups in eight of my designs have arrived in-store. After many months of imagining this, how fascinating to see my drawings so multiplied on rows and stacks of cups! 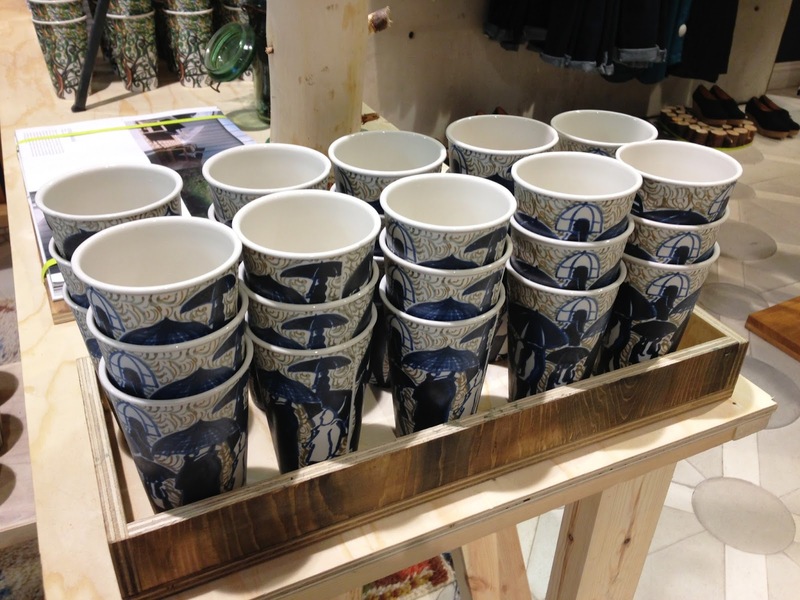 At the moment, the porcelain cups are available exclusively in the Regent Street store. Details of a wider launch will follow. Heather directed me to several local coffee bars, just around the corner in Golden Square. I was especially taken with Nordic Cafe, not just the coffee but the cinnamon rolls! 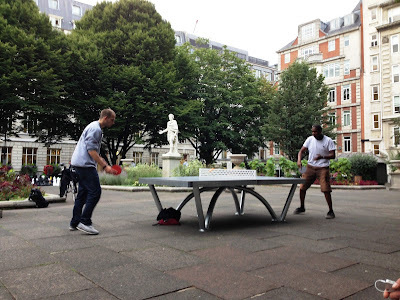 An additional treat was watching the games of municipal ping pong and large-scale chess going forward in the square itself. Definitely enjoying some dolce vita in the calm before the festival gets underway. Some outdoor entertainment in Golden Square on Thursday evening. 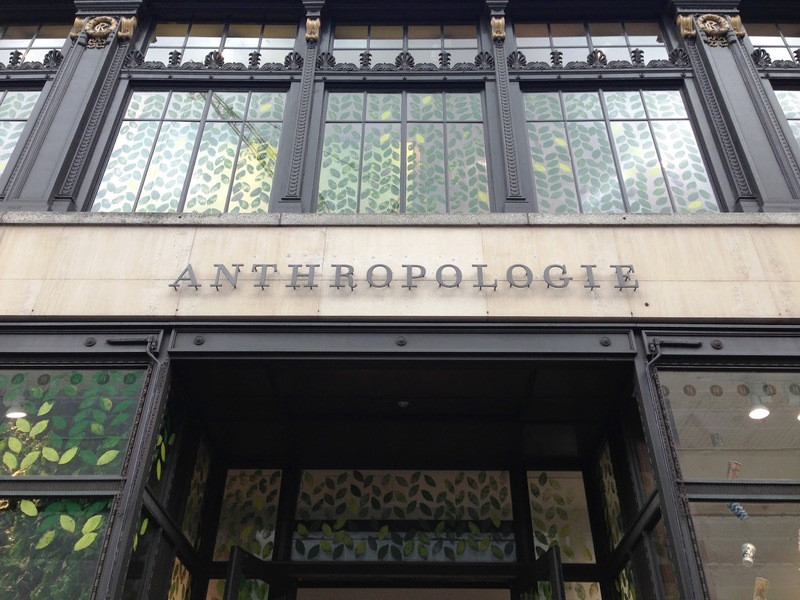 The Cups are on view at Anthropologie 158 Regent Street 24 hours a day through October 4th. I will also be returning to Edinburgh where I studied art, and will be doing a live drawing event in Anthropologie's George Street store on Saturday, 21st September from 12-3 pm, with a talk at 2 p.m.
What an amazing and wonderful meld of fine art, design and business enterprise - with some performance art added, to boot! This is SO lovely!